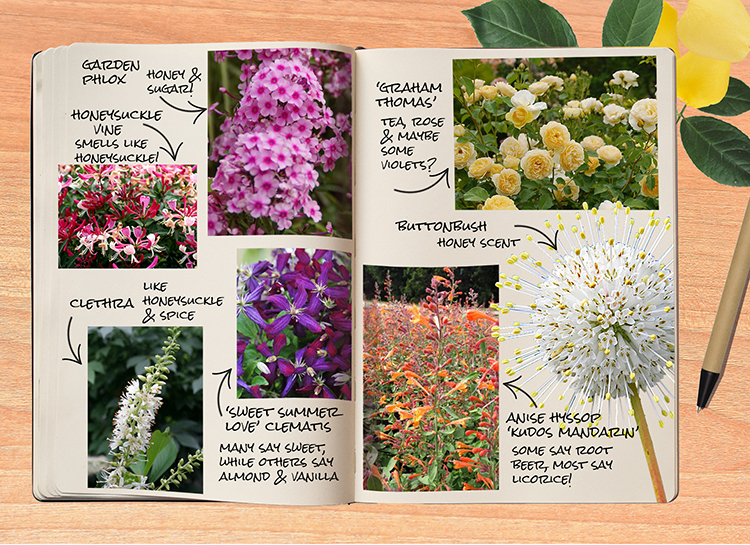 Garden Notebook – Heavenly Scents | Faddegon's Nursery, Inc.
Jun 23, 2017 | Garden Tips, Perennials, Shrubs, Trees & Vines, What's New? A good garden is always visually pleasing or exciting. Plants complete the home and might extend the living space to include the outdoors. A garden offers peace, beauty, or fun, a reflection of the gardener’s personality. What more could you want? How about some beautiful scents to lift your spirits? We know that the right smell can change your mood, bring back memories, and create physical well-being. We humans are fine-tuned to respond to smells. It’s also one of the more difficult senses to describe or define, but very easy to enjoy when notes of honey, sugar, spice, and the like meet your nose. Incorporating a fragrant plant into your garden is good for the pollinators and good for you! Not all honeysuckle vines have fragrance, but two selections are known for it. ‘Scensation’ from Proven Winners blooms from mid-summer to fall with loads of yellow flowers that are extremely fragrant. The beautiful red, pink and white ‘Serotina florida’ whose flowers age to a pale yellow, is also a big bloomer from mid-summer to fall. Fragrance: Fruit & Honey. Very Sweet especially beginning at dusk. Tall garden phlox may look fragile, but they are a wonderfully sturdy addition to any landscape. 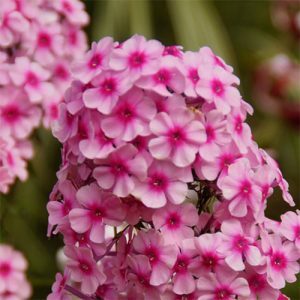 Whether you have a cottage style cutting garden or a formal perennial bed, phlox are a must. They truly say “garden!” with their long-blooming mid-summer flowers. Fragrance: Is that sugar? And honey. In late Summer Clethras provide a mass of scented flowers, a magnet for bees, hummingbirds, and butterflies. While most Clethras bloom white, ‘Ruby Spice’ is a Native variety with gorgeous pink flowers that provide the energy needed for migrations as Fall comes to the Northcountry. Likes moist soil. This clematis takes some patience but Oh Boy! It’s worth it! 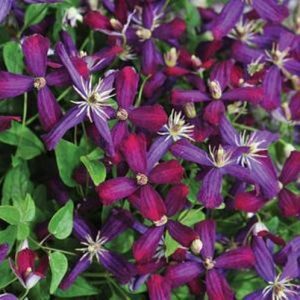 ‘Sweet Summer Love’ gives you everything you want: the flowers, the fragrance, the ease of growth and cranberry-violet blooms that start over a month earlier than others. The first year you plant it, it does not do much besides grow roots. In the next year, or two, it takes off! It won a DGA Green Thumb award for the best new plant of 2014. Fragrance: Light & Sweet. Many detect almonds and or vanilla too. 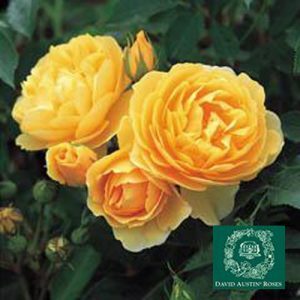 Mature Size: 1-15 ft. tall with a spread of 6-10 ft.
An award winning heirloom rose from David Austin. 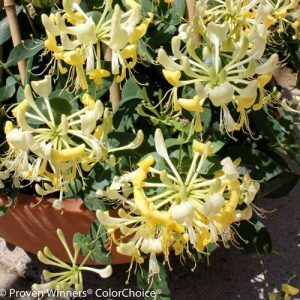 This beauty has double 4″ rich yellow flowers that absolutely cover the plant. Big and bushy, ‘Graham Thomas’ is often trained as a climber. 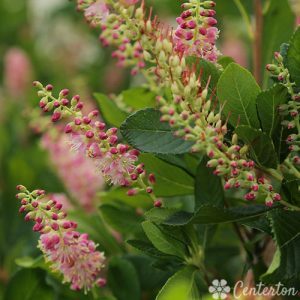 The showy blooms will repeat throughout the season so the fragrance will be long-lasting. Fragrance: “Old Rose”, “Smells the way a rose should”, “can take your breath away”. 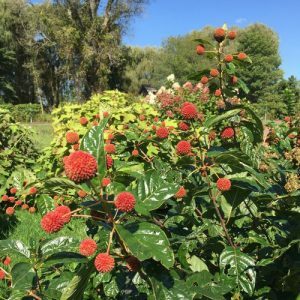 Buttonbush has long been prized as a native, but it was way too big for most landscapes. Now Proven Winners has cut the size in half so you can enjoy it in your garden. Unusual fragrant white flowers in mid-summer are followed by large red seedheads that last into Fall. Buttonbush loves moist soil. May be trimmed in early spring. 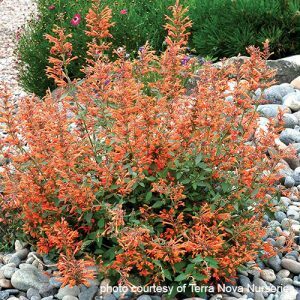 Mature Size: 3-4 ft. tall with a width of 3-4 ft.
Agastache spans a large variety of types and therefore has many common names usually including the word hyssop which is an aromatic herb. They spring from the mint family but not all smell minty by any means. There is much disagreement on the essence one picks up around Agastache. If root beer isn’t detected it’s often one of the ingredients such as anise or licorice. Only you will know what you detect! Fragrance: Root beer, Anise, or licorice depending on your nose. Some smell like mint.